This feature has been published in Fabulous Mama – 2019. 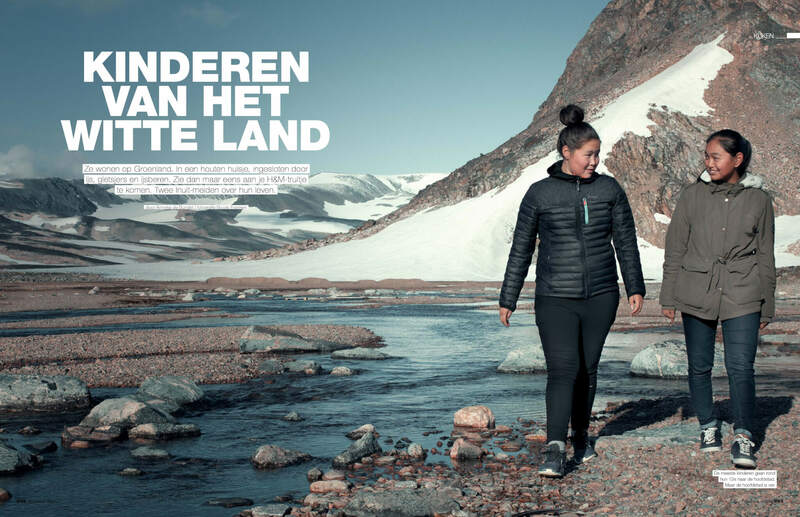 Greenland – For the Greenlandic Kaya and Bella, the future possibilities are more complicated than for an average Dutch child. Because what if you can not stay in your own village after the third grade of high school? Are you going to the other side of the country and only go home twice a year? “Yes”, says Kaya enthusiastically, because what do you have to do in a village like this where there is no H&M, no cinema and no fun boys at all? “No”, Bella shivers, after all, you can still become a hunter. Kaya and Bella live on Greenland. In a wooden cottage, enclosed by ice, glaciers and polar bears. Two Inuit girls about their lives.